Millennials don’t seem to care that Facebook and other companies harvest their data for profit. At least that’s the premise of a recent opinion piece in the New York Post. It suggests that millennials are consigned to the fact that, in order to have the many advantages that the new tech world provides, there has to be a sacrifice. If you are a millennial, I would be interested in your reaction to this premise and others which follow. 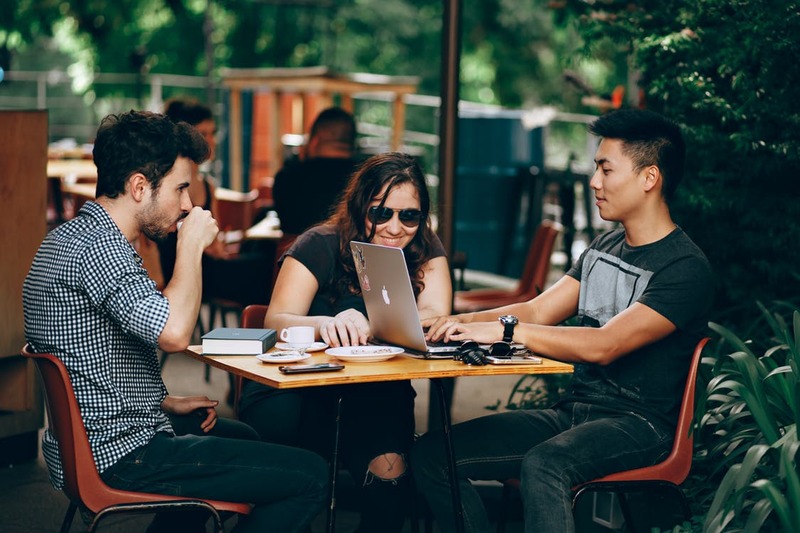 Millennials seem more comfortable with the notion that if a product is free then you are the product, and allow themselves to be an ’’open book” for all to see. As it will be revealed later, the opinion piece opines that this is not true of previous generations who appear to be more guarded with their privacy. Of course, previous generations had fewer threats to their privacy to go along with markedly less availability to information, entertainment, and communication (just to name a few). So it is not necessarily fair to single out the millennials as if they were some alien outliers. Although, like aliens, they come from and live in different worlds to their predecessors. I mean, book burning was non-existent before Guttenberg’s printing press printed books, and there wasn’t a need for fallout shelters until the world went nuclear. In fact, you could make a case that the dangerous, crazy world that was passed on to millennials, and that they now inherit, may make the exposure of their personal information to the public seem tame by comparison. Not to mention that heavy engagement with social media and the like is a needed distraction from modern life! Besides, no one would have guessed some fifteen years ago that Mark Zuckerberg’s dorm room doodle would morph into the behemoth of a business model it is today – replete with its invasive algorithms. Who could have imagined that social media companies could learn our political leanings, our likes and dislikes, our religious affiliations, and our sexual orientations and proclivities? If I, or some other legal or law enforcement entity want to retrace my activities on a given day – that is easily and readily accessible from my smartphone. As millennials blithely rollover to the tech gods when it comes to filleting themselves publicly, the article takes them (and others) to task for handwringing and breathlessly expressing surprise and outrage at Cambridge Analytica for just working with the leeway given to them. Of course, if the company had helped Hillary Clinton win the Whitehouse instead of purportedly boosting the prospects of the odious ogre, Trump, there likely wouldn’t have been the same angst – or so the piece posits. Be that as it may, the question must be asked: what did Cambridge Analytica do that countless other companies haven’t done? I mean, why should it be treated any differently by Facebook because it’s a political firm and not an avaricious advertising scavenger? The other Silicon Valley savants – Google, Apple, and Microsoft – all monetize your information. They are eager to invite advertisers, researchers, and government agencies to discover your treasure trove of personal information through them. The article questions if those of previous generations would be so forthcoming, citing the so-called Greatest Generation eschewing the telephone if it meant that the government could eavesdrop on their conversations with impunity. On the contrary, millennials, it would appear, view the lack of privacy and the co-opting of personal information as the price for the plethora of pleasures that the digital medium supplies. What do you think? Is it a fair assessment of the current state of affairs? This article was originally published at BestVPN.com. In what has to be the most ironical turn of events, companies collectively pay cybersecurity experts billions of dollars every year so that they can keep their business safe and out of prying eyes. Once they have attained the level of security and privacy they want, they turn around to infringe upon the privacy of the people. This has been the model many of them have been operating for a while now, and they don’t seem to be slowing down anytime soon. We would have said the government should fight against this, but not when they have a hand in the mud pie too. In this piece, we discuss the various ways these organizations have been shredding your privacy to bits, what the future of internet privacy is shaping up to be and how to take back the control of your own data privacy. A lot of the simple operations you perform with the internet every day means more to some data collectors than you know. In fact, it is what they are using to make decisions on what to offer you, what to hold back from you and so much more. Going by the available technology, here are some of the frameworks that allow the collection and use of your information. Big data analytics: These are mapped to certain individuals/ demographics and used to predictive models for the future. When you hear big data, what is being referred to is a large body of data which is meant for later analysis. Via a combination of efforts from man, bot and algorithms, the large amount of data is sifted through with the sole aim of finding patterns, trends, and behaviors. Internet of Things: Thus, you can access live video feeds of your home from anywhere in the world. You can even have your refrigerator tell you what supplies you are running low on. What you don’t know is that as your IoT units collect this data, they are not just feeding it to you. In fact, they are sending back a lot more than you know to the companies that developed them. Everyday things (such as your printer, refrigerator, light, AC unit and so much more) can now be connected to an internet connection. This enables them to work with one another with the sole aim of interoperability and remote access. Machine learning: These machines are then released into data sets to practice their newfound freedom. Guess what they do? Mine for data from almost any source they can lay hands on, rigorously analyze the data and use that to diverse ends. Machines were taught to do more than just be machines. Instead of being given a set of commands to run with, they have now been given specialized commands to aid their learning. All of the above might look like normal procedures for the achievement of the intended purposes that these technologies bring. However, they cause more harm than good. On the one hand, the datasets are used to pigeonhole consumers by companies. As of the time of this writing, machine learning data is already being used by some credit card companies to determine who they should allow a credit card and who they shouldn’t. It is even more ridiculous to think this decision is based off something as simple as what type of car accessory a customer would opt for. As if that is not enough, machine learning is approaching a place where it would soon be able to diagnose diseases. That is not the scary part. This diagnosis will be based on social media data. The companies don’t even need to see you physically before they know what diseases you might have. Talk about prodding into the most sensitive areas of your life that you might not even have shared with family and friends. That, and we have not even talked about how marketers will chase you around with ads based on what you’ve searched, offer suggested content based on your patterns and prevent you from seeing out of the box across the board. You don’t have to put up with all these. Technology is meant to be enjoyed, so you shouldn’t be punished by being exploited. One helpful tip is to layer all your connection over a VPN. These will help make you anonymous on the network, preventing data collectors and monitors from identifying your computer with your data stream. Your IoT devices will also benefit from a VPN if you can share one over your router. This helps to make them more secure since they cannot us a VPN otherwise. Private browser networks such as Tor will do you a lot of good when browsing the web. If you prefer conventional browsers, though, don’t forget to install an ad blocker before you go online again. They help prevent marketers and companies from tracking you all around the web after looking at some content. Don’t forget to switch from Google to other search engines that leave your data to you. DuckDuckGo and Qwant are some of the options on this list. Combine all of that, and you have your shot back at decency and privacy on the internet. The DevOps world meant to provide complementary solution for both quick development (such as Agile) and a solution for cloud environments, where IT personnel become integral part of the development process. In the DevOps world, managing large number of development environments manually is practically infeasible. Monitoring mixed environments become a complex solution and deploying large number of different builds is becoming extremely fast and sensitive to changes. The idea behind any DevOps solution is to provide a solution for deploying an entire CI/CD process, which means supporting constant changes and immediate deployment of builds/versions. For the security department, this kind of process is at first look a nightmare – dozen builds, partial tests, no human control for any change, etc. 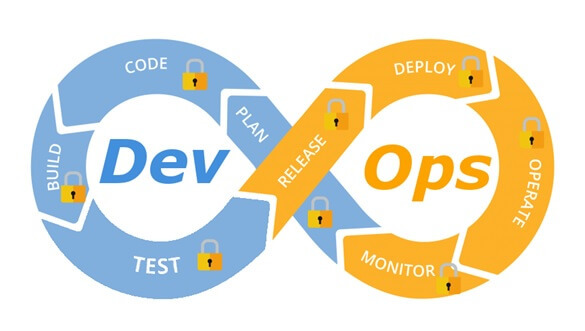 For this reason, it is crucial for the security department to embrace DevOps attitude, which means, embedding security in any part of the development lifecycle, software deployment or environment change. It is important to understand that there are no constant stages as we used to have in waterfall development lifecycle, and most of the stages are parallel – in the CI/CD world everything changes quickly, components can be part of different stages, and for this reason it is important to confer the processes, methods and tools in all developments and DevOps teams. This stage in the development process is about gathering business requirements. This stage in the development process is about the code writing itself. This stage in the development process is about testing, conducted mostly by QA personnel. This stage in the development process is about software packaging of the developed code before deployment/distribution phase. This stage is between the packaging and deployment stages. At this stage, the software package (such as mobile application code, docker container, etc.) is moving to the deployment stage. At this stage, the development is in the production phase and passes modifications (according to business requirements) and on-going maintenance. Patch management processes or configuration management processes using tools such as Chef, Ansible, etc. At this stage, constant application monitoring is being conducted by the infrastructure or monitoring teams. Use automated tools for deploying environments in a simple and standard form. Tools such as Puppet require root privileges for folders it has access to. In-order to lower the risk, it is recommended to enable folder access auditing. Avoid storing passwords and access keys, hard-coded inside scripts and code. It is highly recommended to store credentials (SSH keys, privileged credentials, API keys, etc.) in a vault (Solutions such as HashiCorp vault or CyberArk). It is highly recommended to limit privilege access based on role (Role based access control) using least privileged. It is recommended to perform network separation between production environment and Dev/Test environments. Restrict all developer teams’ access to production environments, and allow only DevOps team’s access to production environments. 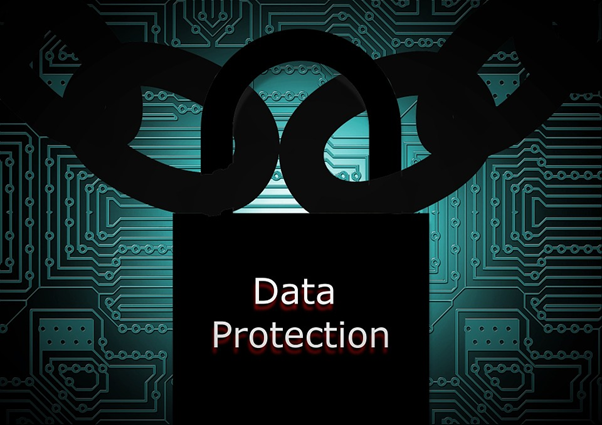 Make sure sensitive data (such as customer data, credentials, etc.) doesn’t pass in clear text at transit. In-case there is a business requirement for passing sensitive data at transit, make sure the data is passed over encrypted protocols (such as SSH v2, TLS 1.2, etc. ), while using strong cipher suites. When using Containers, it is recommended to use well-known and signed repositories. When using Containers, it is recommended not to rely on open source libraries inside the containers, and to conduct scanning to detect vulnerable versions (including dependencies) during the build creation process. When using Containers, it is recommended to perform hardening using guidelines such as CIS Docker Benchmark or CIS Kubernetes Benchmark. It is recommended to deploy automated tools for on-going tasks, starting from build deployments, code review for detecting vulnerabilities in the code and open source code, and patch management processes that will be embedded inside the development and build process. It is recommended to perform scanning to detect security weaknesses, using vulnerability management tools during the entire system lifetime. It is recommended to deploy configuration management tools, in-order to detect and automatically remediate configuration anomalies from the original configuration. What Is Internet Security And Why Is It Important? While the digital age has revolutionized the way we communicate, interact, buy and sell products and search for information, it has also created new risks that were not risks before. The internet, while extraordinary, is not always the safest environment and learning how to protect yourself, your business and your data is an important part of being an internet user. Internet security is a term that encompasses all of the strategies, processes and means an individual or company might use to protect themselves online including browser security, data protection, authentication and security for any transactions made on the web. It is about securing and protecting your networks and ensuring your privacy online. With more and more people using the internet every day, more and more information is being processed online and this means huge amounts of data is being moved around the web. Sadly, this has seen the rise of new types of cybercrime and more opportunities for those looking to act criminally online to do so. If you use the internet in any way, whether it be for personal or professional reasons, such as for social media, emailing, for banking, running a website, to buy groceries or to publish content, you need to be thinking about your internet security and how to keep yourself safe online. Whether you want to protect yourself or your business, it is important to know and understand internet security and the best methods for protecting yourself. Here are four ways you can begin to learn about internet security. If you are serious about learning more about internet security and using your knowledge to help you professionally, then you may consider undertaking an online course on internet and network security. This is one of the more thorough and structured ways to learn everything there is to know about internet security and what strategies you can implement yourself. By doing an online course, diploma or degree, you know that you are learning from teachers and tutors who know what they are talking about which allows you to gain valuable skills and knowledge. With a qualification at the end of the course, you can then put this knowledge to good use and help others develop advanced internet security mechanisms. One of the great things about the internet is that you can find a wealth of information online about any topic that you are interested in. Whether it is baking, travel, fashion, or sports, you can find websites and blogs that help keep you up to date with what is going on in each of these areas. The same can be said for security. If you are interested in learning a bit more about security in your own time, then doing some online research is a good way to begin. Many experts out there understand the importance of network security and write about it. The good thing about reading blogs is that you can find blogs suitable for all levels of knowledge about network security. Whether you have very limited knowledge and are looking to understand basic terminology or you are more experienced and hoping to be introduced to more complex problems, you can find blogs that will be tailored to both. Youtube may be a great platform for watching funny animal videos of music video clips, but it also a great online learning resource. There are many channels on Youtube that provide online learning videos, which offer a more hands-on approach to learning about internet security. With the videos, you can see the steps behind different processes in internet security and concepts that may be difficult to understand when you read about them can be more easily explained in a visual manner. Once you understand the basics of cybersecurity, Youtube is a great way to learn about how to use certain tools in a systematic fashion. It may seem ironic to read about internet security from a book but there are some great books and textbooks out there that are focused on internet security. These books are usually written by experts in the field who really know their stuff. Whether you want to learn about hacking, malware, security systems or privacy, chances are there is a book on the subject that will cover every aspect of the topic. Check out Amazon or your local library to see if they have any books that will interest you. In the traditional data center, organizations had to maintain the operating system and the database by themselves. 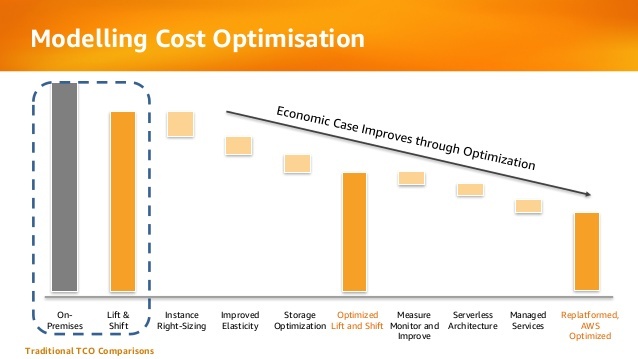 The benefits are very clear – full control over the entire stack. Today, all the major public cloud vendors offer managed services for databases in the cloud. To connect to the database and begin working, all a customer needs is a DNS name, port number and credentials. 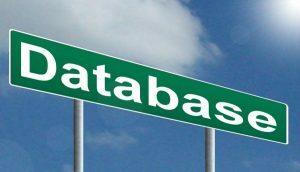 Not all features available on the on-premises version of the database are available on the PaaS version, and not all common databases are available as managed service of the major cloud providers. 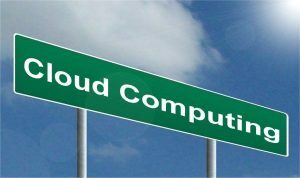 When working with cloud service providers, you may notice that at some point there are service / quota limitations. Some limits are per account / subscription; some of them are per region and some limits are per pricing tier (free tier vs billable). Default limitations can be changed by contacting the cloud service provider’s support and requesting a change to the default limitation. The term hacking is a terrifying term when it comes to online business. Also, for so many years with the advancement and growth of online business, there has been a lot more to talk about hacking and phishing activities. Moreover, in the past couple of years, the number of Internet users, online shoppers and bloggers has been immensely increased. This leads to security as an important factor to lay emphasis on. A little frightening is the case studies and research that have been done, on several companies’ data. For example, there are almost 50,000-180,000 unauthorized login attempts that are seen on the WordPress hosted sites and other websites as well. They try to attempt, is by using brute force techniques that is – trying loads of permutations and combinations of usernames & passwords, to get access to the website. However, there are also websites that are under serious attacks from hackers that steal the important information by using various strategic methods. Based on an ITRC Data Breach Report – there are nearly 200 million personal records which were unprotected and faced 780 data security breaches in 2015. We aren’t trying to scare you but this is the concern which every year the websites are facing and are in a havoc to handle the situation. Now that you realize how vulnerable your website can be, this article will take you to the best hacks for avoiding threats, hacking and another intrusion on your website this year. As website developers or owners of certain websites, we understand that there are challenges to face these situations and preventing websites from hacking. Here is a checklist of some of the brilliant steps that are a mandate to protect your website this year. A lockdown feature is something which a website user can stop or avert the number of log-in attempts. Which means that for every failed login attempt can be prevented which can eventually be a huge problem – what you get are no more continuous brute force attempts. Here, by this feature whenever you face repetitive hacking attempt and login attempts the site gets automatically locked and you will be immediately notified of the unauthorized activity. For example, there is feature iThemes Security plugin which works pretty well where you can also specify a certain number of failed login attempts post which the plugin will ban the attacker’s IP address. Thanks to this feature of two-factor verification as it certainly helps to give a boost in security measures. This 2FA gives the user login details for two separate components and options. Here you can decide the medium to get the secret code, email, text, call and etc while using two-factor authentication. This helps the website to be secure and in one hand use. While deploying this feature Google Authenticator plugin helps to use it just in a few clicks. Yes, we are talking about the use of Secure Sockets Layer (SSL) certificate to ensure that the third-party programs are running smoothly and there are no chances of a hijack or shut down. SSL offers an extra layer of protection by securing all the internal data and any transactions which are performed by the browser and the client’s website. There are many types of SSL certificates that are used depending on the validation they offer and the type of business they are used for. For example, Wildcard SSL certificate is widely used to Secure root domain and its multiple Sub domains. Due to these certificates, the customers build a trust in the online business while doing their transactions. When working on website security, it is also important to understand and work on CMS. It plays an important part in website security. Why are we saying this is because there are hundreds of Content Management Systems that are used to develop the digital content. The popular one is CMS includes Joomla, Drupal, WordPress, Wix, Weebly, and Magnolia. These content management systems have their unique security features that completely contribute to the website’s protection. Thus, keep a track of the latest versions and updates of the chosen CMS to keep your website secure. Today every application, email, or any website login needs a password for security reasons. This is essential for the security of your data and much other personal information. Use strong passwords that are a combination of characters, special characters, numbers, symbols, lower case, upper case and etc. Hackers have a habit of sending out viruses and malware that can harm the website’s data and other crucial information. Thus if you put a strong password and keep changing it regularly it will keep the hackers in a fix and avert any kind of malware or phishing activity. You can also use hashed passwords beforehand for further security. Browsers are vulnerable to catch malicious activities quickly as there are loads of data and information sharing being done over the internet. Thus it is very important to validate all the forms and servers. Conduct a deeper validation on the server sides so that there are no chances of malicious code or scripting code to cause harm to your website. There are some good white security tools that help in protecting your website from hackers and other cyber threats. These products are commercials and some are free to use. It is advisable to go for testing XSS and SQL injection. Moreover, OpenVAS is one of the most advanced security scanners that is awesome for vulnerabilities and testing challenges. Lastly, Xenotix XSS Exploit Framework is also a good choice for XSS examples. A clean website is always better and safe online. As we have got latest plugins and updates so why not get rid of the old ones and update the latest versions of the software and other updates in order to get a new feel and new security features. Give your website a fresh air by cleaning the mess, Install new themes, add new plugins add new versions of the software and other add-ons by this you will be avoiding the security breach conducted by any hacker. AWS access keys enable us to use programmatic or AWS CLI services in a manner similar to using a username and password. AWS access keys have account privileges – for better and for worse. For example, if you save access keys (credentials) of a root account inside code, anyone who uses this code can totally damage your AWS account. Many stories have been published about security breaches due to access key exposure, especially combined with open source version control systems such as GitHub and GitLab. Avoid using access keys for the root account. In case you already created access keys, delete them. Use minimum privileges when creating account roles. Use AWS IAM roles instead of using access keys, for resources such as Amazon EC2 instance. Use different access keys for each application, in-order to minimize the risk of credential exposure. Protect access keys by storing them on encrypted machines or encrypted volumes, and avoid sending access keys via email or any other insecure medium. Rotate (change) access keys on a regular basis, to avoid reuse of credentials. Remove unused access keys, to avoid unnecessary access. Use MFA (Multi-factor authentication) for privileged operations/accounts. Configure billing alerts using Amazon CloudWatch, to get notifications about anomaly operations in your AWS account. Use AWS CloudTrail auditing to review when was an access key was last used. Use open source tools such as git-secrets to avoid storing passwords and sensitive information inside a GIT repository. Work according to GitHub recommendations and avoid using sensitive information in a public repository. 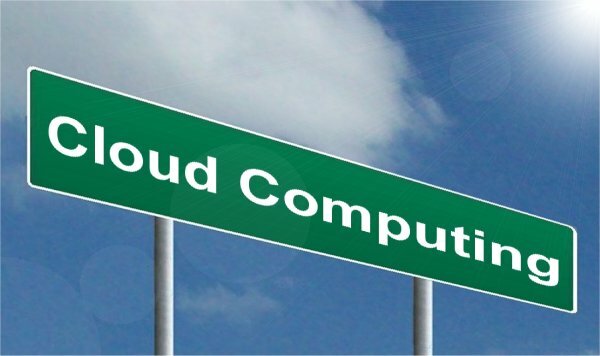 The CCSP is one of the hardest vendor-neutral cloud related certifications in the industry. I strongly recommend to take this exam if you are a solution or cloud security architect, passionate about cloud computing. CISSP certification gives you an advantage when taking the exam, due to the amount of study material, amount of exam questions and the exam length. Official Cloud Security Alliance course and exam – I have attended the CCSK course and took the official exam. As part of the instructor’s recommendations, I have summarized key aspects of the material and reviewed those couple of times (instead of reading 600 pages of the CBK more than once). The online training was not cheap, but an exam voucher (for one year) was included. Purchasing this book allowed me access to Wiley’s test bank of more than 700 practice exam questions, which allowed me to better test my knowledge and prepared for a long time-based exam. Work experience – I have no doubt that work experience gave me allot of knowledge for passing some of the tough scenarios. I have not measured the time it took me to review the written material and prepare myself for the exam, but I am guessing couple of months of preparations. I am proud to hold the CCSP (Certified Cloud Security Professional) certification.